A social worker named and criticised by a judge as having altered care records to make them more critical of a mother has lost a legal bid to have the findings overturned. Justice Baker refused Linda Fraser permission to appeal findings from a March 2016 Family Court ruling handed down by District Judge Exton. The appeal bid was heard in July last year but Baker’s judgment has only been made public this week. Exton found Fraser edited care records to make them more critical of a mother of two children when she was working as a consultant social worker for Bristol council. The judge concluded the edits were made to help “bolster” the council’s position during care proceedings. No care order was made in the case and Exton ordered that Fraser be named in a published version of the ruling. In the social worker’s application for appeal, and the original case, she conceded she must have altered the records but said she could not remember doing so. She denied that she had edited the logs to strengthen her local authority’s case and denied lying in her evidence to the court. The social worker’s appeal relied on evidence that she was under very considerable stress at the time and was suffering from significant health problems, Baker said. 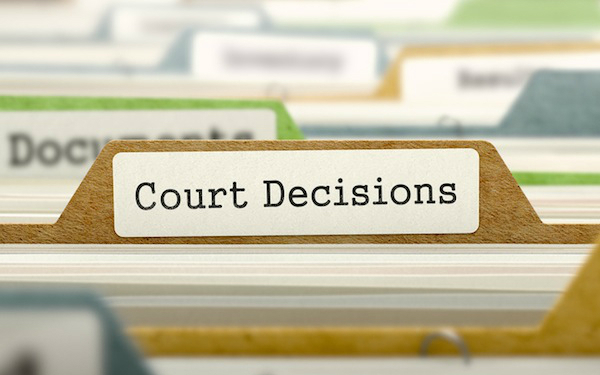 Her lawyer argued judge Exton gave inadequate consideration to medical evidence of her condition, failed to engage with the concessions made, and delivered a judgment that offered an “inadequate analysis of the totality of the evidence”. The judge’s actions caused the social worker injustice and the order to name her publicly was unjust, the lawyer said. Under rules governing family proceedings, the courts will allow appeals when a decision by a lower court is found to be wrong or unjust. Appeals must be allowed when an applicant “demonstrates a real prospect of success”. However, Baker found there was “no real prospect” of an appeal court concluding that Exton’s findings against Fraser were “wrong or unfair”. He said the finding that she had altered the records was unchallenged, her claim that she could not recall what happened was “unassailable”, and judge Exton was “entirely within her discretion” to draw her conclusions on the social worker’s motive. On the issue of the social worker’s health, Baker found Exton had been “fully aware” of the argument that stress may have affected her evidence at the time. He said Exton had drawn on her “experience in assessing witnesses” when rejecting this suggestion, and found no reason to think the social worker’s powers of recall “were affected in any way, particularly when the events she was being asked to recall occurred only eleven days previously”. Baker said Exton’s findings had illustrated the points made by the mother’s representative in the original case. A Bristol council spokesperson said: “This was an isolated case where the court found that one officer had acted in an inappropriate manner, falling short of the level of professionalism we expect of our social workers. “Those actions do not reflect the high standards set by our social workers whose ‘persistence and don’t give up approach’ were features of feedback received from Ofsted in 2014. I just can’t escape the feeling … the facts as presented show this social worker did wrong, I am not commenting to excuse that. Yet when I see documentaries such as ‘Under Lock and Key’ [Channel 4] and from my own knowledge, it is easy to pick off ‘the little people’. I am glad that I, as a knowledgeable, experienced, intuitive and respected social worker got the hell out. ‘Social work is a great career but we only have one life’. It is so sad to hear that the social worker was named despite clear explanations made that she was stressed. I. It never ceases to amaze me how quick the judges are to name and shame SW. One doesn’t see TM names up in the judgement walls even though social worker’s reports would not be approved without management observation or readings. Further, how easy is for this SW and others alike to balance all the work that we do on day to day basis manage everyones, professional and family, anxieties and yet we are unable to manage our own. As social workers we put our own life on hold or stop it altogether and take on a complete new identity, that of caring and protecting other people’s children. This work we do sometime and mostly on our own with resistance, judgement and everything and everyone else against us; we do that because we believe in what we are doing and that being a SW is now our life. For all managers out there, if you provide support through regular and realistic case holding and supervision, as well listening to u on daily basis, SW and children services overall would be in a better place. Managers should be mindful of the role they once held and that represents and not be swift to criticise and judge the social worker. I hope that sooner rather than later there is going to be change for SW profession altogether, that reflects anti-discriminatory and anti-oppressive practices and management that supports the much needed SW force. One needs to be aware that in a world of uncertainty and hostility SW face everyday it is only just that SW are treated with the respect they deserve, in the end of the day it is only fair to say that if we as SW don’t feel shiny we Cabot go out and shiny our families we are working with because we don’t know what that feels like. It is hypocrisy we work against everyday yet we go along with it and accept it although we know it is what we came in to change in the first place!!! Really? Anonymous! Why have so much to say about sw?? And tm? What about the mother? Don’t you think she was stressed…. social worker with health problems (stress) is not a health problem or condition!! ?? Be more specific ? If she couldnt handle her job or was forgetful about altering documents she wouldn’t be in a position of authority over someone child and more to the point a judge would take have named and shamed her. As an experienced SW, manager, IRO and now Guardian, I completely agree. The mother faced the prospect of losing her child and this social worker could have altered the outcome dishonestly. The buck STOPS with the Social Worker who did this, not the manger, not the Local Authority; they were her words and her actions based on her work with the family. It is nobody elses responsibility to take the blame for this. As a CP employee I can’t agree with you. The pressures and stresses of our job means we have to be more viligent in our work, ensure we don’t make mistakes that can harm it’s wilful neglect and we can be prosecuted. This SW was lucky in that she has not faced charges of wilful neglect. Stress is not the answer. What this SW did failed the mother, the family and the children involved. She wasted CAFCASS time, resources and money. How many families has she destroyed through “stress”? Unfortunately SW don’t work autonomously and her TM should also be held accountable for she would have had input, though in this case this SW was a consultant SW so may have fallen beyond the remitt of the TM. I cannot believe that people are defending this social worker. I am regularly disgusted by the scapegoating, naming and shaming of social workers. Being behind with casenotes, missing deadlines, not predicting the unpredictable are rarely about the social worker in isolation. Failing to spot something because you’re stressed or overwhelmed is understandable. BUT we all need to be very clear that what this social worker did is very different! How is falsifying records to further your case in court about stress? It’s a deliberate act. The consequences for the child and family could have life long. The damage done to our profession is real. I do not understand how this social worker has not been struck off when the HCPC strike people off for much less. I am sure that this social worker is paying a high price for her actions and I feel for her stress but there has to be lines and she crossed a big one. Also for those commenting about managers, in Bristol, Consultant Social Workers are managers so this lady was supervising others. I can’t defend the social workers fully as there is one on my case who is doing the same thing changing and covering up evidence -but she has just finished her first year and her manager is a horrible bully who bullied one of the social workers colleagues out of her job so I think managers are responsible in some cases as much as the sw. I often wonder if my sw would have been a good sw if she didn’t work with a brutal controlling and dishonest manager . The Portsmouth 2015 case the judge ruled similar to this but said he thought the manager would be a difficult woman to go against. It seems from this comment that you may be a Service User. Am I right? If so, why is the Social Worker sharing information about her manager and workplace with you? That is also unprofessional and not your concern as I am sure you have enough to deal with. You’re not there to listen to the woes of the Social Worker….. Consultant SWs in Bristol are the TMs. I have worked with this SW and she was always very highly respected and knowledgable. I don’t think anybody can underestimate the stress of the the job and although she may not of been correct in her actions, I don’t feel this publishes the exact accounts which differed. Talk to your manager if you’re stressed. I’d rather have to talk to my manager than a judge!